Home Fire Safety & Prevention! A Fire can be devastating, but with the proper preparation now, you can not only reduce the chance of fire, but dramatically increase your safety in the event one occurs! Did you know that it only takes minutes for thick, black smoke to fill a house and for fire to spread to other rooms and floors? Fire moves quickly and you may only have minutes to react. 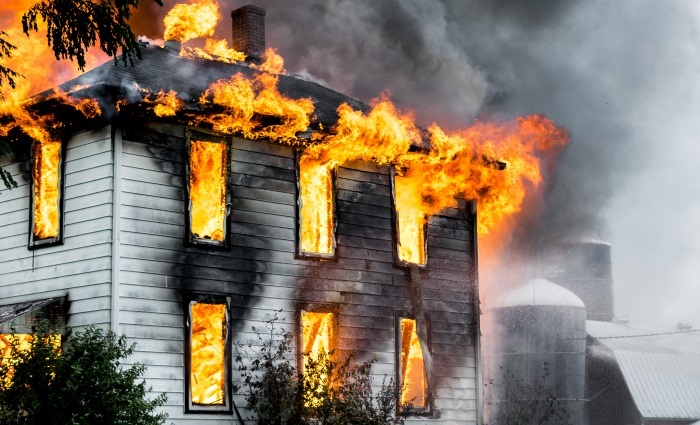 For this reason, the most effective way to protect your family and your home from Fire is to identify fire hazards and take steps to remove the risk these hazards pose. By taking steps now, you can dramatically increase your safety in the event of a house fire. 60 % of all house fire deaths occur in homes with no working Smoke Detectors. Smoke Detectors should be installed on each level and in areas that are of high risk, such as Furnace Rooms and Garages. 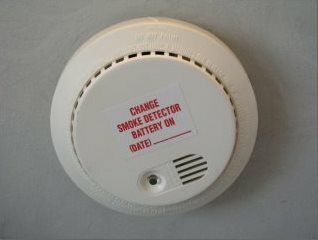 In order to ensure they are in good working order, Smoke Detectors should be tested annually and the batteries changed. At least one Carbon Monoxide Detector should be installed on each level as well. There are combination Smoke / Carbon Monoxide Detectors available. Did you know that smoke detectors expire? Fire Extinguishers come in several varieties for specific uses. Make sure that you select the correct one for your needs. 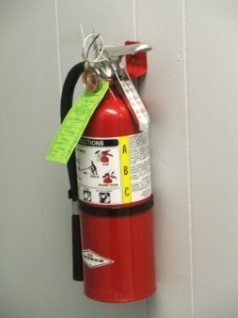 Kitchens for instance require Fire Extinguishers that are also able to extinguish grease fires. When placing Fire Extinguishers, consider where the highest risk of fire is, as well as where the Fire Extinguisher would be most easily reached in the event of an emergency. Fire Extinguishers for instance should be kept in Kitchens, Garages, and Basements, as fires commonly begin in these areas. Make sure that occupants of the home are familiar and comfortable with the operation of the fire extinguisher. See More Fire Extinguisher Preparedness Tips! Please note: Kidde has recently recalled a number of fire extinguisher models. Here's how to check if your fire extinguisher is part of the recall! Open Flames, such as candles can easily ignite nearby items such as curtains or bedding, and should under no circumstances be allowed to burn down unsupervised. 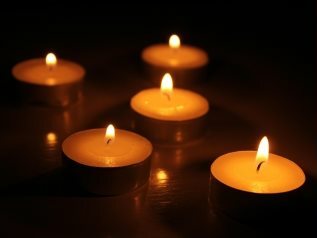 Most candle fires occur when they've been left to burn after someone has left or fallen asleep. Open Flames should be completely extinguished if someone is not able to watch it, and should be set far away from other items that they may potentially ignite. Space Heaters can get very hot (Even ones that claim not to) and should be placed at least 30" from other items when in use. 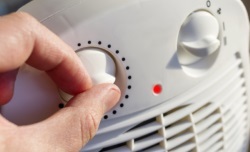 Be particularly cautious of blankets, curtains, or bedding that may come in contact with or cover the Space Heater. 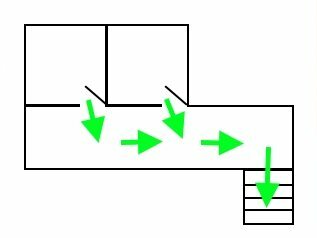 If outlets are tripping circuit breakers or damaging fuses, have this checked out by an electrician. 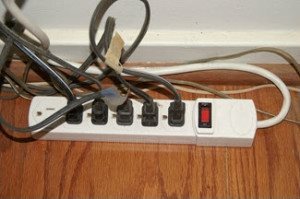 Do not run extension cords under carpeting or through any other inaccessible areas. 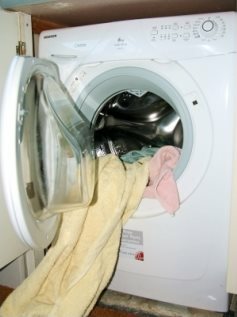 Lint can build up in your Dryer Exaust Hose, or behind the dryer. Check any areas where lint can build up regularly (At least annually) to ensure that any lint is cleaned up and the dryer exhaust hose is clear. Lint is incredibly flammable, making it important to take steps to Prevent Dryer Fires. It's great to take steps to prevent fire, but it's also important to prepare for the possibility of a fire occurring in your home. The best way to do so is to plan an Escape Plan and designate a Meeting Place for your family after they get outside. Make sure everyone in the family knows the plan, and go over it every so often to ensure that everyone remembers. See More on The Importance of Having an Appropriate Safety Plan! We certainly hope that you never have a home fire, but should you ever have a need for any of our services, please do not hesitate to Call Our Office and we will be happy to assist you.